Believed to have been constructed in 1866, this facility is one of the largest of its kind in the nation. 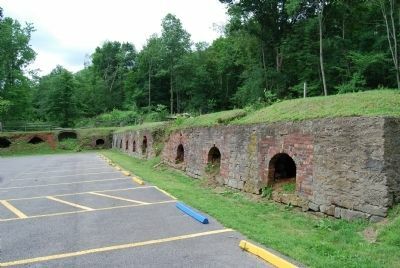 The complex of 200 ovens was erected by the Leetonia Iron and Coal Company, later known as the Cherry Valley Iron Works, to supply fuel for pig-iron producing blast furnaces that stood south of this site. 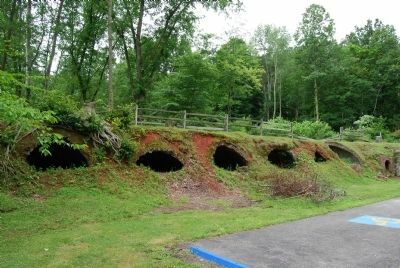 The man-made "beehive" ovens were used to transform hard coal into coke. 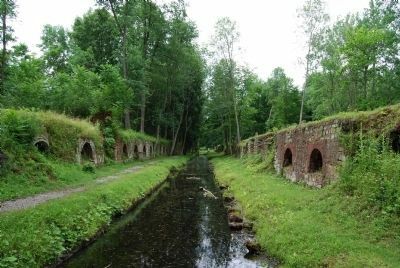 The "coking" process burnt impurities out of the coal. The end product -- coke -- was the best fuel source for the furnaces that were used to manufacture iron and steel. The facility discontinued operations in the early 1930s at the height of the Great Depression. is at the intersection of Main Street and Butcher Road, on the right when traveling north on Main Street. Touch for map. 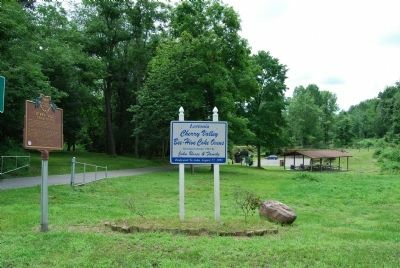 Marker is in this post office area: Leetonia OH 44431, United States of America. Touch for directions. Other nearby markers. At least 8 other markers are within 9 miles of this marker, measured as the crow flies. Log House Museum (approx. 3.3 miles away); Harvey S. Firestone (approx. 3.7 miles away); Site of Hanna Log Cabin (approx. 3.7 miles away); Unserheim (approx. 4½ miles away); Salem (approx. 4.7 miles away); Teegarden-Centennial Covered Bridge / Teegarden (approx. 5.8 miles away); Canfield Fair (approx. 8.7 miles away); Church Hill Road Bridge / Timber Covered Bridges (approx. 8.8 miles away). More. 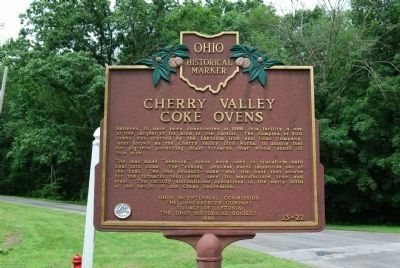 Search the internet for Cherry Valley Coke Ovens. Credits. This page was last revised on June 16, 2016. This page originally submitted on July 7, 2013, by Mike Wintermantel of Pittsburgh, Pennsylvania. This page has been viewed 700 times since then and 8 times this year. Photos: 1, 2, 3, 4, 5. submitted on July 7, 2013, by Mike Wintermantel of Pittsburgh, Pennsylvania.